Sometimes, we can no longer see the forest for the trees. This is also the case with supertrends. Infrastructure, technology, silver economy, and millennials are important investment themes. However, they are often overlooked because other headlines muscle their way into the foreground. 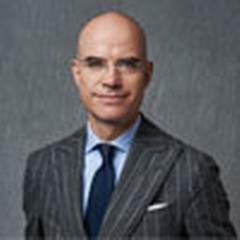 Central themes in financial investing are the "supertrends" described by Credit Suisse. Not all of them are new, but all have developed a particular, new structural dynamic that opens additional opportunities for income and diversification. Why? Because they originate from a structural – not simply a cyclical – necessity. This makes them especially robust, boosting value in the good times and providing balance in the bad. This is a valuable combination in any sustainable portfolio. The Rolling Stones, despite their ages ranging from 74 to 80 years old, do not appear at all ready for retirement. What many do not know is that the four musicians have all suffered some degree of hearing loss. But thanks to modern technology, that is no longer a problem. Our growing life expectancy is a springboard for structural growth in the market for typical senior products such as hearing aids. Did you know that this is why some of the shares in the «Silver Economy» supertrend have gained significantly since the beginning of the year, such as Sonova, by +33%? The demographic opposites of the «Silver Surfers» are their millennial grandchildren. They have obviously had another type of socialization; their consumer preferences are clearly different. Since millennials are currently rising along their professional performance curve, their purchasing power is also growing. So, it comes as no surprise that shares in the «Millennials’ Values» supertrend are rising too. Are you familiar with, say, the company Electronic Arts, whose share price has climbed +45% since the beginning of the year? The current rise of a new world order is also shaped by technological change. Many companies and entrepreneurs are facing a fourth industrial revolution. Thanks to intelligent information technologies, they can automate key work processes, thus improving quality and cutting costs. This trend has only just begun. However, there is no longer any doubt that the information technology of the future will shape our economy. Yaskawa, one of the shares in the «Technology at the Service of Humans» supertrend, has rocketed +90% so far this year. One dark side to digitalizing many labor processes is the resulting array of new vulnerabilities. Too often, hackers are two steps ahead of the economy or the government. To further their own interests, they seek and exploit gaps in website security until they are discovered and blocked. The catastrophic data breach at US credit bureau Equifax may be only the tip of the iceberg. But one man’s sorrow is another man’s joy: providers of specialized security software, such as Check Point Software (share price: +31% since the beginning of the year) are now swamped with long-term orders. The «Angry Societies – Multipolar World» supertrend plays directly to their strengths. Investors can profit from this development over the long term. Another main theme of our time is the necessity of closing gaps in our infrastructure. This applies to mobility, utilities, security and more, since infrastructure and fiscal policies are gaining support around the world. Following are three examples. France just allocated EUR 25 billion for infrastructure improvements in its «Grand Paris» urban development plan. London, Berlin, Shanghai, New York and Los Angeles have similar plans in the works. At the same time, climate change represents an increasing threat along the sea coasts. At present, nine of the world’s ten mega-cities are situated in coastal regions, where they have proximity to container ports. For them, it is imperative to strengthen infrastructure to resist natural disasters and prevent salinization of groundwater. China’s «One Belt, One Road» initiative, which is investing USD 170 billion annually in a new transport corridor from China to Europe, is an illustrative example of how government infrastructure projects can become integral parts of national monetary policy and geopolitics. Finally, the greatest obstacle to the development of autonomous mobility is not automotive software, but the slow data transmission capacity of our 4G mobile communications infrastructure. Only countries that have a 5G mobile communications infrastructure (i.e. mobile data transmission speed equal to that of fiber optics) can also become pioneers of autonomous mobility. 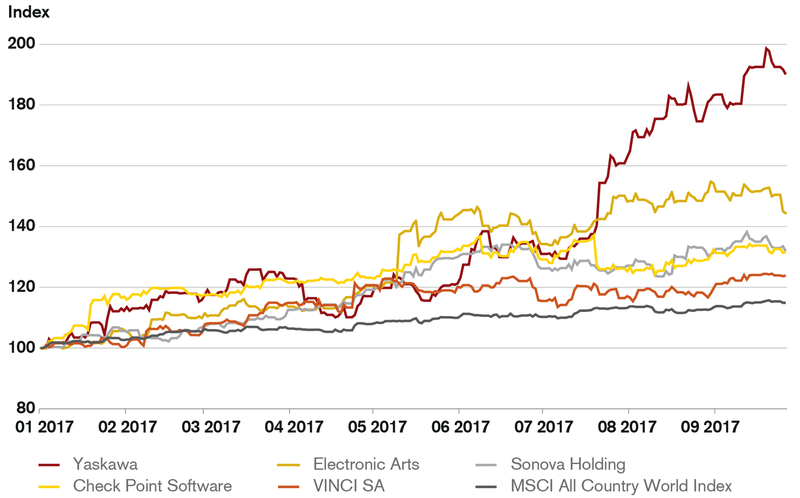 So, it should be no surprise that many companies in the «Infrastructure» supertrend have posted strong performance since the beginning of the year, such as Vinci with +24%. Read about how technologies are changing treatment and care. Learn about how to invest in the infrastructure supertrend. Read about how digital security is developing in the 21st century.